People can toss you aside and treat you as unimportant, but God loves you. 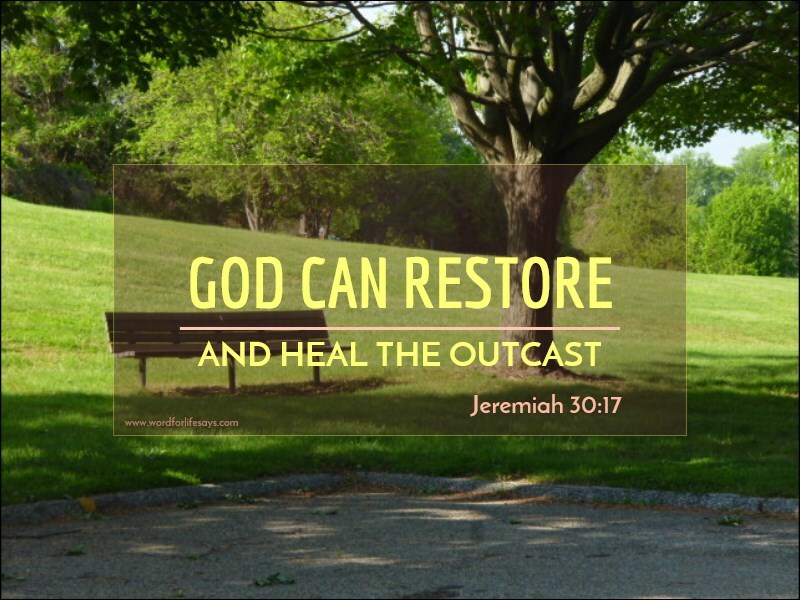 He is for the restoration and healing of His people. Amen-Amein, Only our ONE True GOD ( YAHWEH-JEHOVAH-HOSANNA-EMMANUEL and HIS One and only SON Jesus-Yeshua Christ ) can Restore us!! Blessings to you, Kristi Ann!! It’s amazing that; no matter how broken you think you are, God sees you as his fully restored child through the blood of Jesus. Great reminder today! And, I love Him so much for that! He’s such an awesome God, giving us way more than we deserve. Blessings to you!